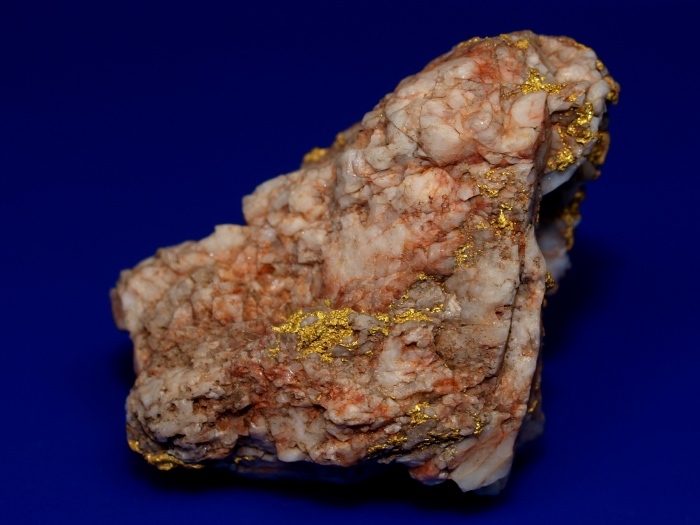 This is an amazing piece of gold in quartz from Siskiyou County, California. 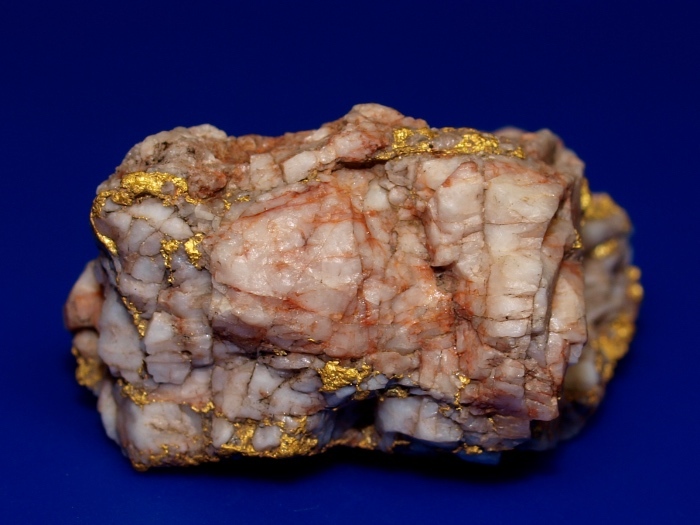 This is true high-grade ore with thick veins of raw gold oozing out of every crack of this quartz. 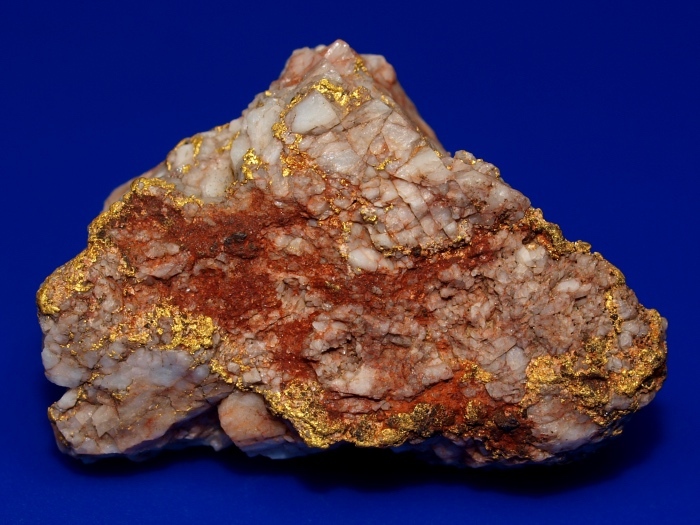 Gold can be seen on all sides of this specimen. 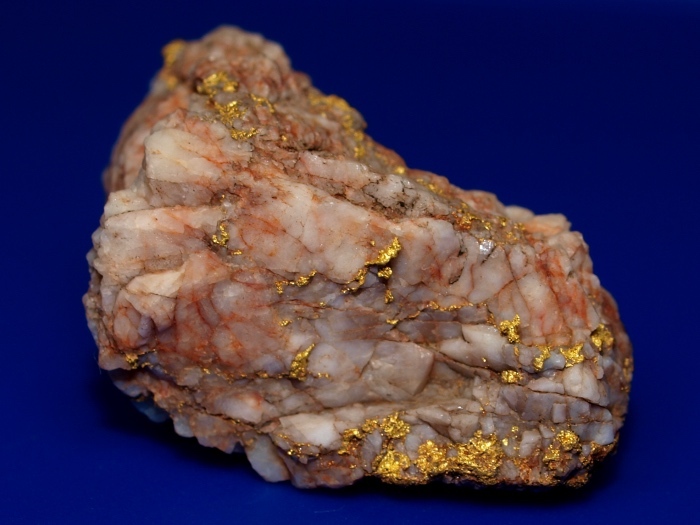 It is amazingly heavy in the hand, there's a lot of gold hidden under that quartz. 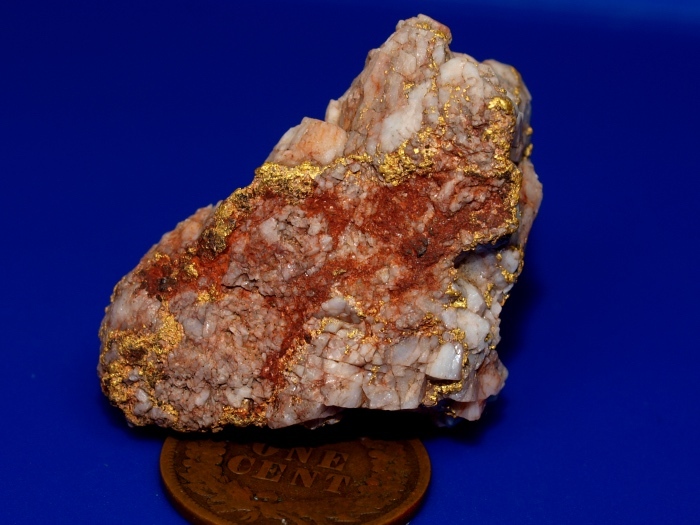 The total weight of this piece is over 1 troy ounce. 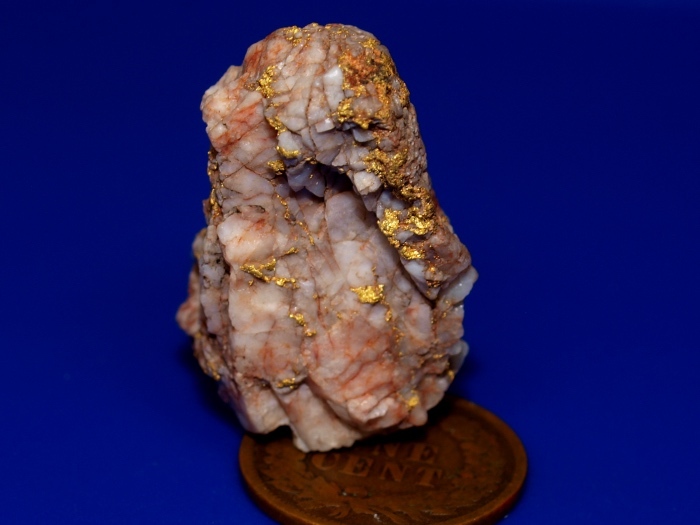 I did a specific gravity test on this piece and it contains approximately 17.25 grams of gold. It will ship for free in the USA. The penny in the photo is for size reference only.